Feature-Rich Battery Chargers … But Low-Cost! 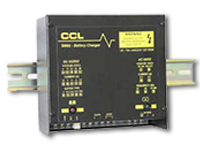 A complete offering of battery chargers from PC&S provide manual or fully automatic, heavy duty, current limited charging of vented lead acid or nickel cadmium batteries. 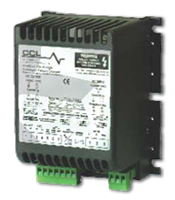 Our switchmode power supply design enables us to provide chargers which are compact and light, with high power efficiency and low heat dissipation. 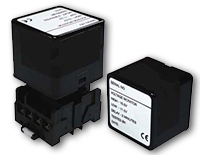 Advanced features allow for safe, optimal charging and long battery life: multi-stage operation, low output ripple, auto boost, automatic temperature compensation and alarm outputs for signalling fault conditions. 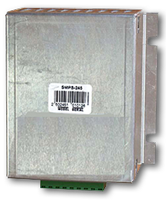 Several products have UL approval to the UL1236 standard for battery chargers in starting, lighting and ignition (SLI) applications. 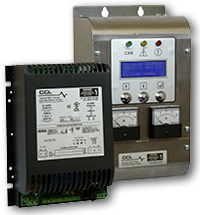 Typically used in a wide range of industrial charging applications, such as standby engines, pumps and fire pumps, generators, and cyclic battery charging, PC&S battery chargers are available in ranges through 60A, DC. 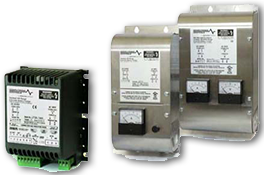 We also provide units for NFPA110 and Fire Pump applications.